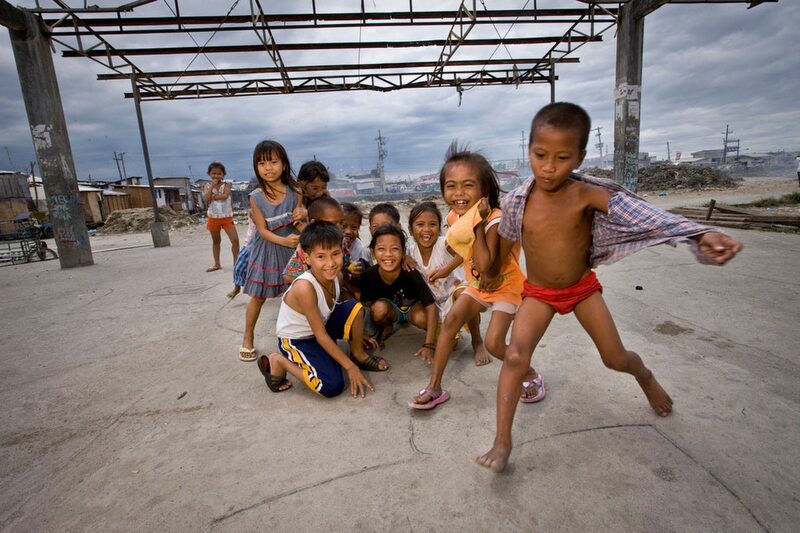 Kids play outside an Action International feeding program at Navotas "Market 3" squatters area on Manila Bay. Last year, fire leveled the site but claimed only one life. The flames were barely out when people returned to reclaim their places. The floors of many homes are still black with ash today.